For some time now, I have noticed a growing number of comments on this blog expressing frustration and anger at the lack of change in child support laws. It ‘s important, I think, to see that in the sad political times we live in, where “welfare as we knew it” has been under attack since 1996, and these attacks have been adding to the justifications for tax cuts, current child support laws, as New York State’s, have sizable advantages. Welfare of the child? Not the problem of society anymore. That’s the problem of the noncustodial parent, for the most part the noncustodial dad. Last but not least, the design of the law – the regressive one-size- fits- all percentages of noncustodial parent gross income in child support payment (in New York, 17% for one child, 25% for two children. etc. )- has the advantage of convenience: enforcing the law is a no brainer. These child support percentages are part of this category of numbers you don’t know where they come from (who is the brilliant mind that came up with it) and that spoil the lives of millions of people (like for instance, the convergence criteria to belong to the European Union, but I won’t get started). There is thus a lot of inertia at play against changing the laws, and politicians are usually no prophets of change. I don’t know if our new mayor, Bill de Blazio, is, but I like his proposal to add pre-K to the school years of the New Yorkers. I am not going to talk about the benefits of PreK for child development, which are well documented. I am talking here of the possible impact of the implementation of pre K on child support laws we fathers have to deal with. If pre K becomes part of the life of a child, single custodial mum’s child care expenses go significantly down. That may bring our wise lawmakers to think, for once, of what “the cost to raise a child” is. And perhaps to think that it could be born by the two parents based on their income, not just one. And allow me to step on the financing side of the issue. Governor Cuomo would like us to believe that New York State can afford tax cuts and pre K. This presupposes that public services in New York State are just good as they are. But New York State is not Sweden: people are dying in 2014 in the emergency room in the Bronx. 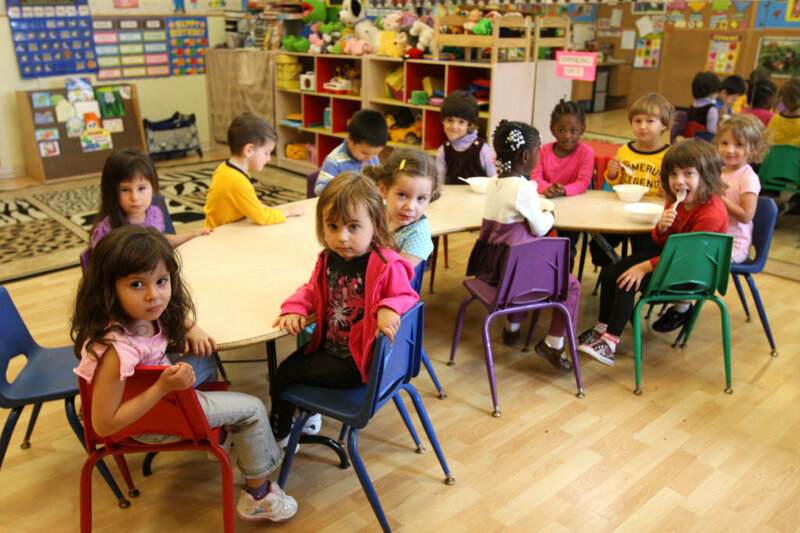 Pre-K ought not to happen at the expense of already substandard enough public services. The 1% has to chip in.